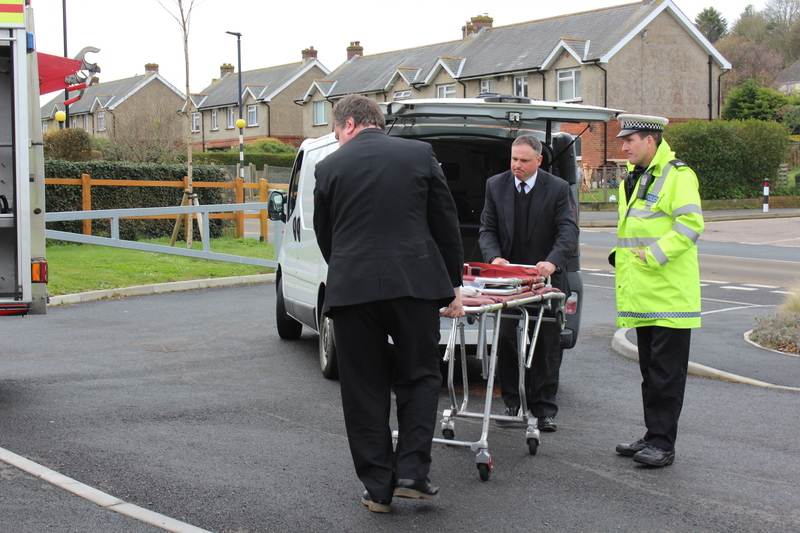 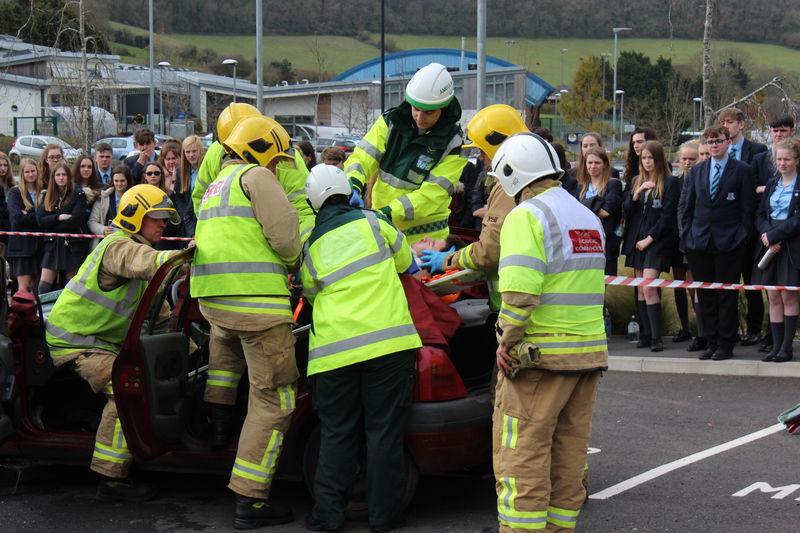 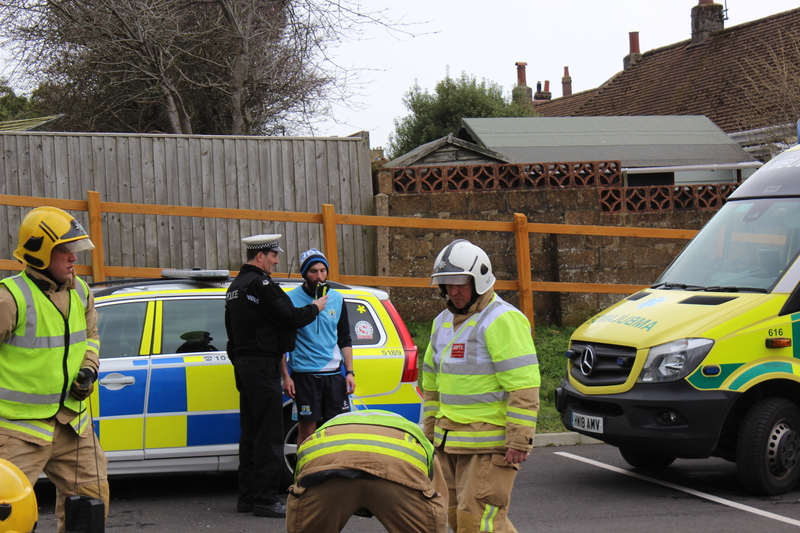 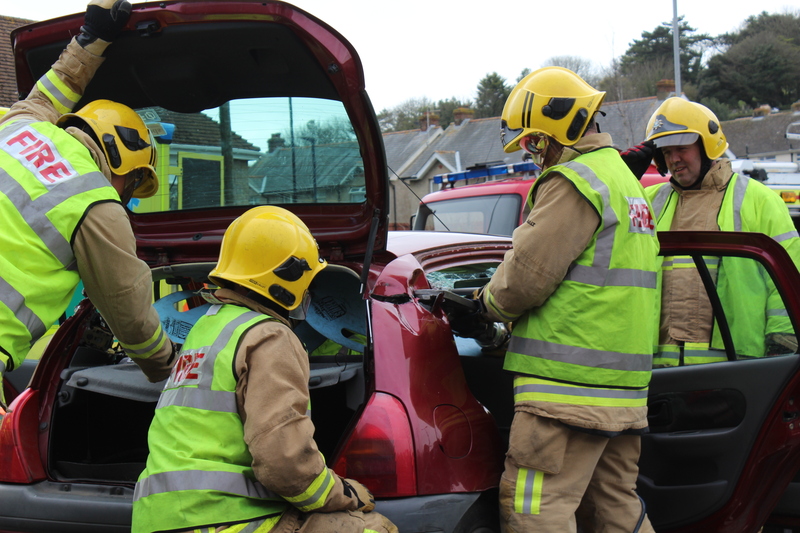 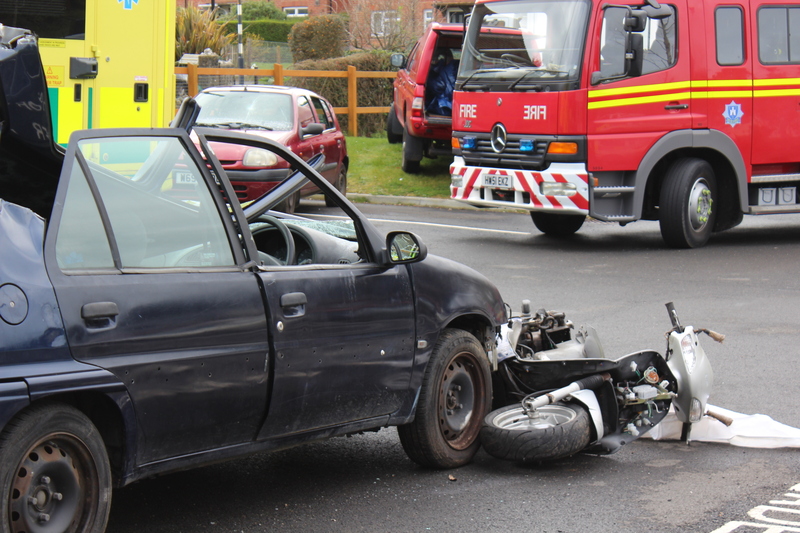 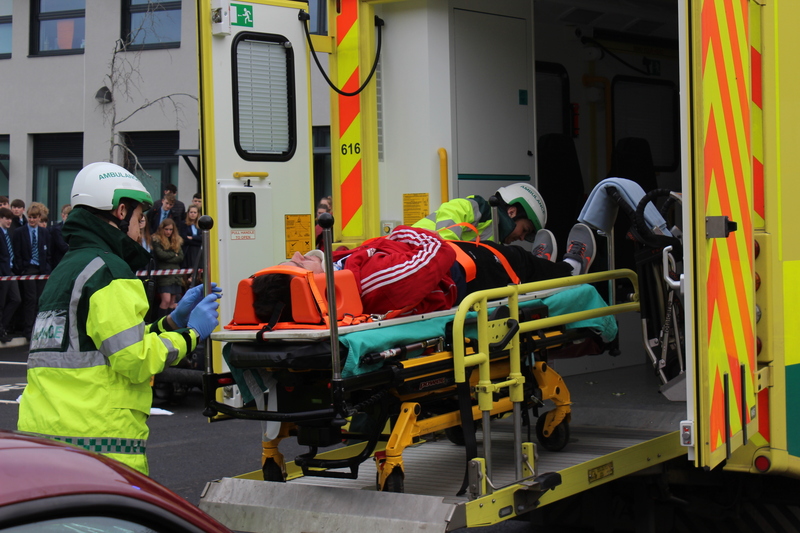 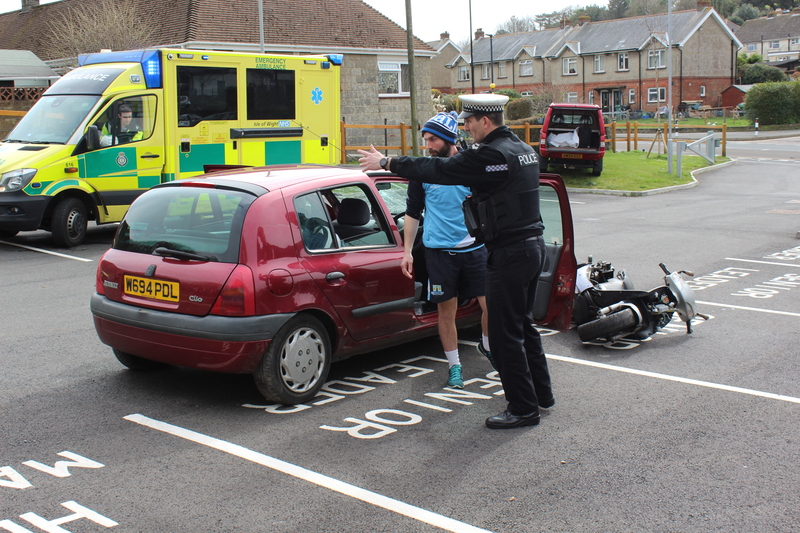 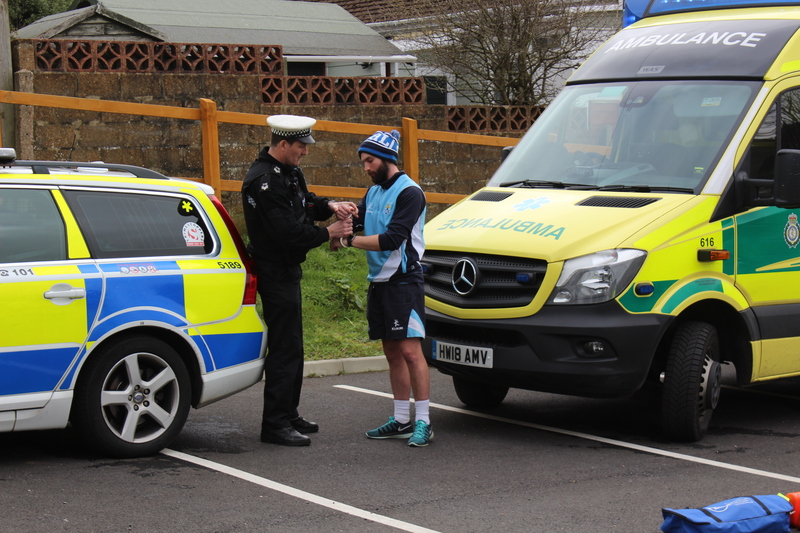 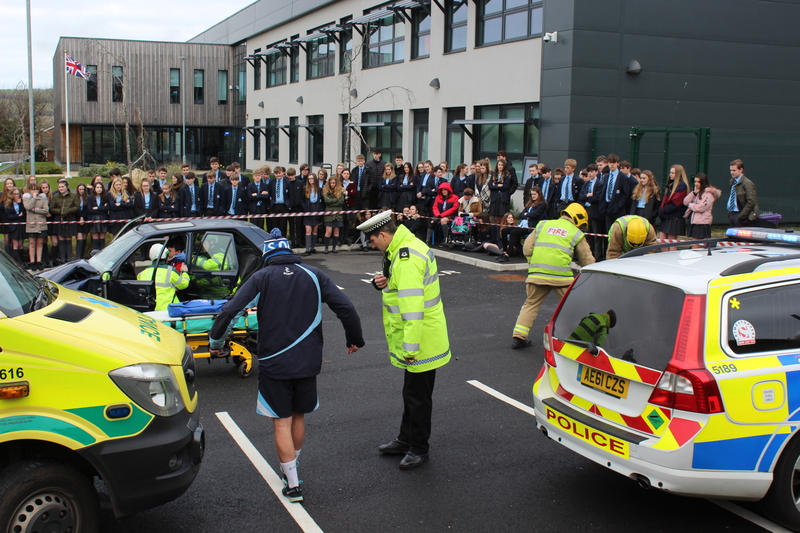 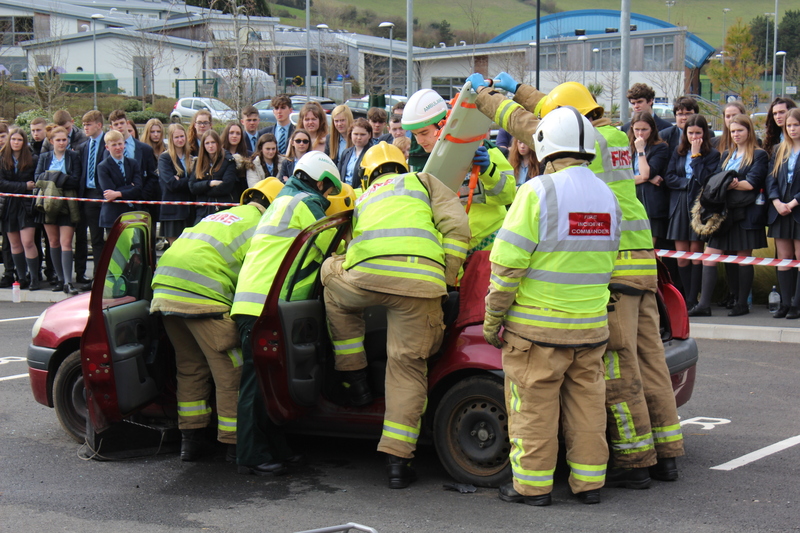 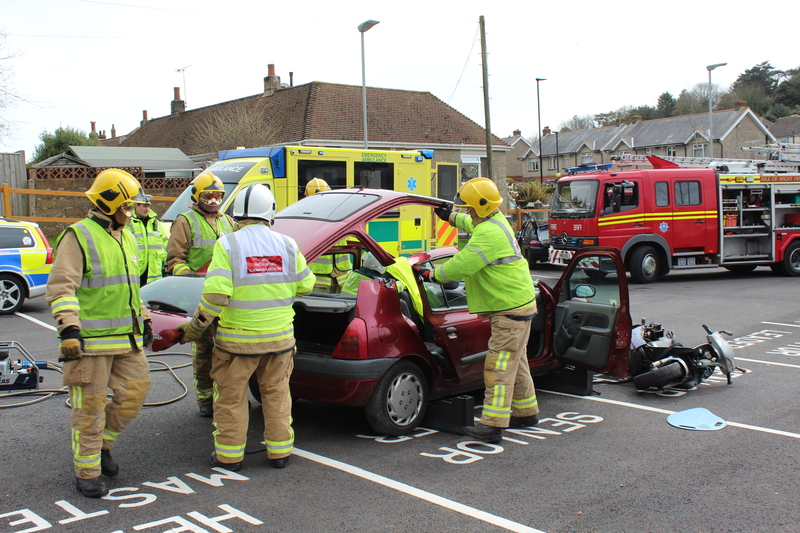 On Tuesday 19th March, we arranged for the emergency services to come into school to deliver a road safety presentation to Key Stage 4 pupils; in order for us to better inform them of the dangers that come with the responsibilities of driving. 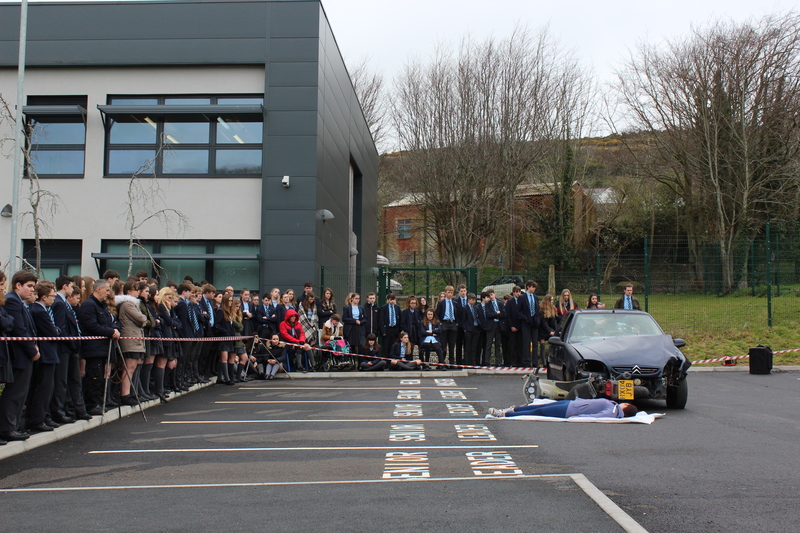 Part one of the hard-hitting presentation commenced with a replication of a fatal car crash where 17 year old Island resident, Martin, died. 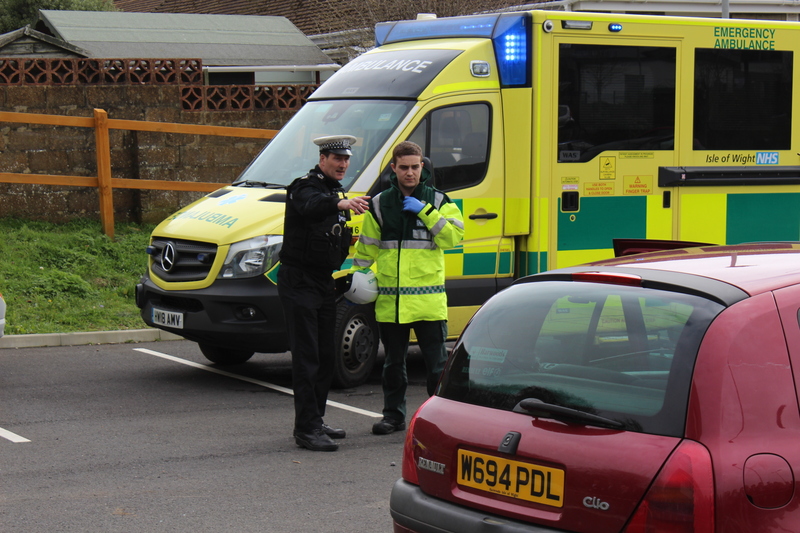 A recording of the actual 999 call from the crash was played along with an interview with his mother detailing how the life of her family has changed since the accident. 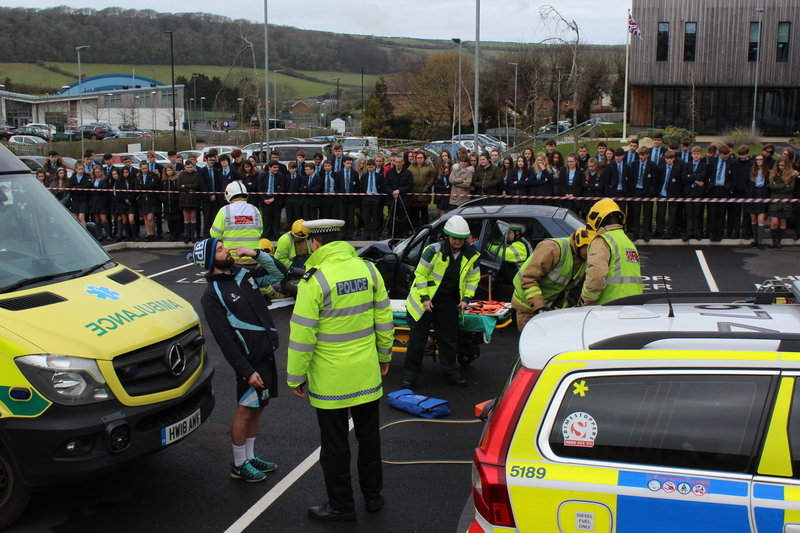 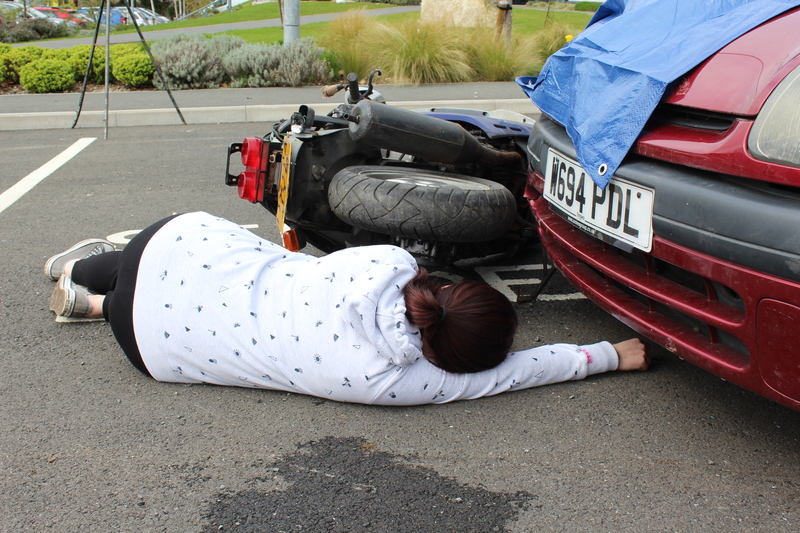 The outside demonstration showed a vehicle crash scene comprising of two fatally injured passengers, a ‘walking wounded’ driver and a seriously injured passenger. 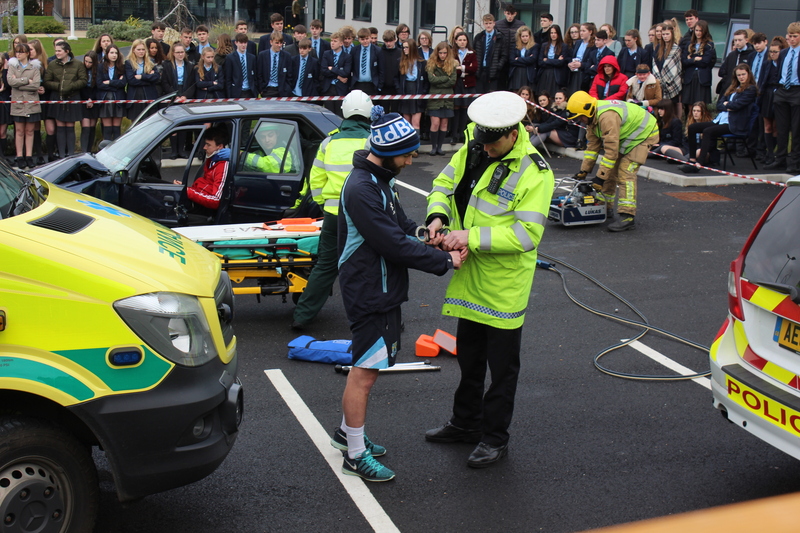 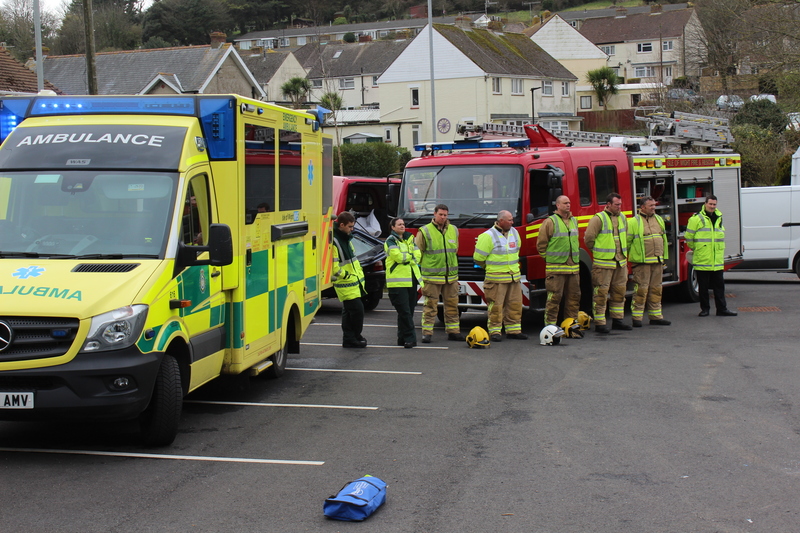 Each Emergency Service arrived in their appropriate vehicle to role-play their responsibilities at a Road Traffic Crash. 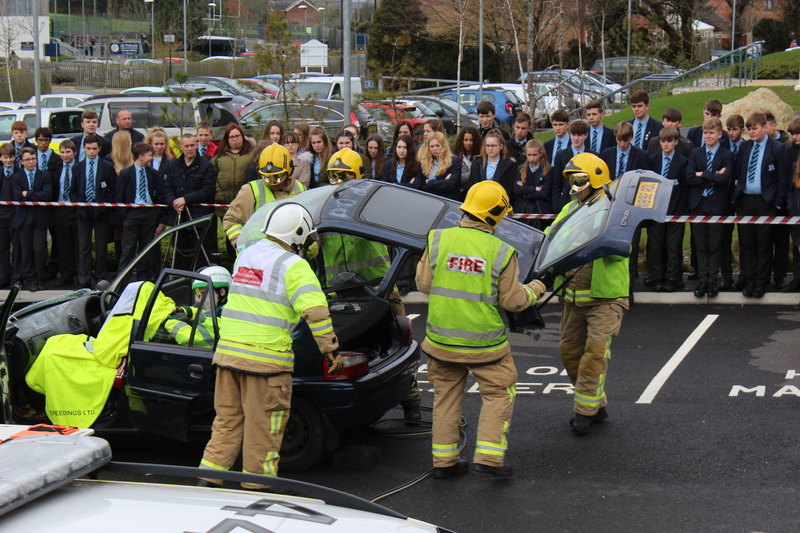 Part two of the presentation involved pupils watching a DVD, then discussing the following topics: Newly qualified drivers, vehicle handling, distraction, speed, peer pressure and impaired driving. 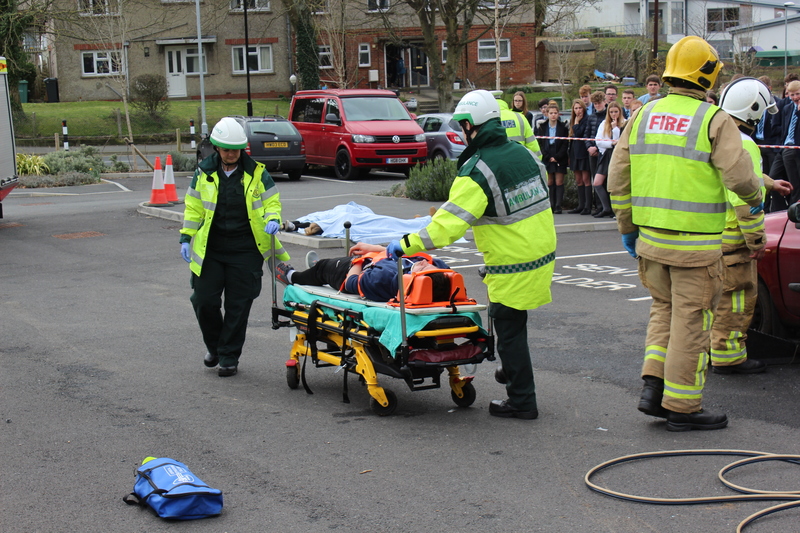 Pupils behaved in a respectful way at all times and said that although emotional, this was a very worthwhile experience which taught them a lot.